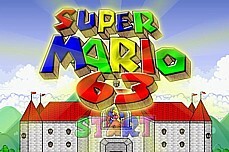 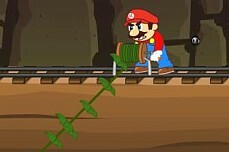 Mario Tractor 4 >> pull the tractor but don\'t tip! 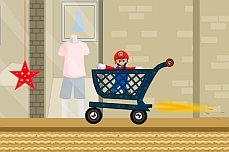 In Mario Tractor 4, you get to select between Luigi, Princess, Yoshi, and Mario. 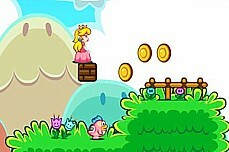 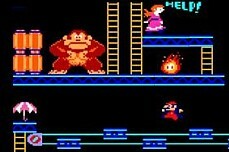 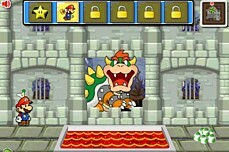 However, you will have to unlock Princess (lvl 3), Yoshi (lvl 5), and Mario (lvl 5) first before you can select them. 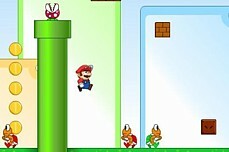 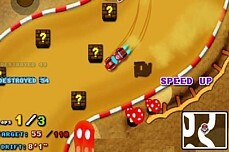 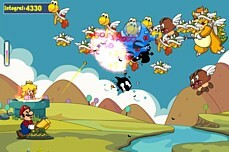 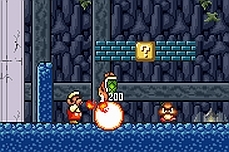 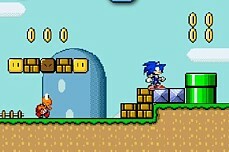 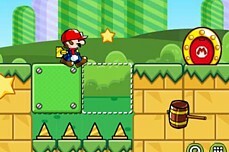 As in the previous Mario Tractor flash games, you will have to speed through each level while collecting the coins. 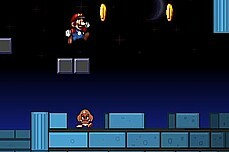 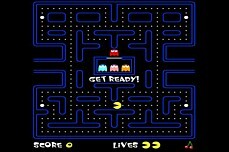 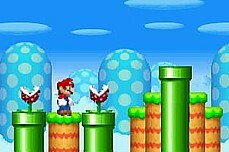 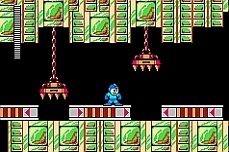 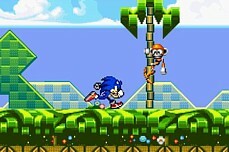 Your score is based on how quickly you complete the level and how many coins you get and keep. 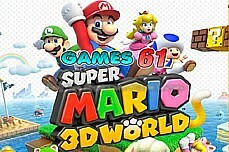 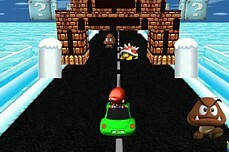 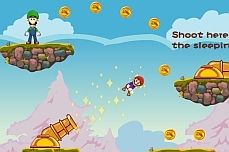 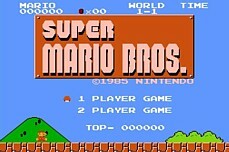 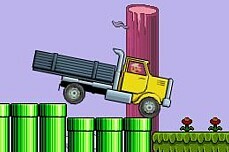 Plow through 7 quick levels as Super Mario in a truck trying to collect coinage. 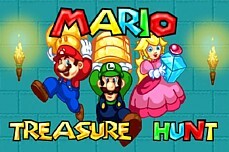 It really is not hard. 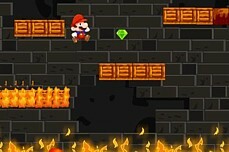 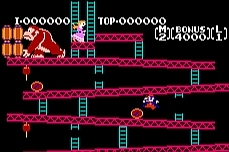 With the princess safe and sound for once, Mario heads to the mines to do some mining! 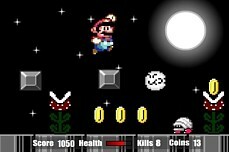 A spooky flash version of Super Mario Bros featuring boos and bony beetles in a Halloween atmosphere! 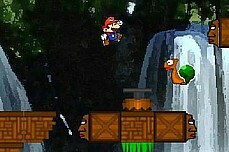 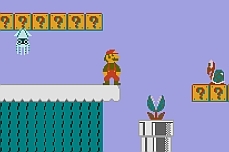 Help Mario get safely across the wild river by timing your jumps just right. 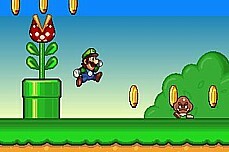 If you get hit, you must restart. 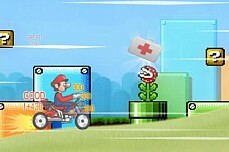 Cruise to the finish line as fast as you can while managing your energy levels and the all important super turbo boost.